Food safety at your house starts with your selections when shopping at the grocery store, the farmers’ market, or on the phone calling for delivery. Your choices, your actions, and your five senses (as well as your common sense) will help you make good decisions about where, what and how you pick safe food. Smart shopping at grocery stores and markets involve safety factors you need to be aware of; that’s why we’ve built whole pages for specific store areas . (We call these safety factors Red Flags. For more about them, click here .) Suppose you go into your local grocer’s. Once you’ve done your general shopping, you want to choose your favorite chicken and side salad at the deli, discuss the best meats to grill at the meat/seafood counter , and pick the best produce for your family’s lunches. You need to do your homework first. We recommend that you spend a few minutes on these pages and then come back here! Use your senses and your common sense when shopping for quality food. Food that smells bad probably is. Meat that doesn’t look healthy isn’t healthy. Touch the melon; if it’s too soft, it’s too ripe and you don’t want it. If your senses tell you the food item is probably OK, check the sell-by or use-by date. 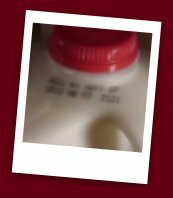 Food that is close to its expiration date is all right to purchase if you use it right away, but it can’t sit in your refrigerator very long. (How long is too long? Click here .) An expiration date is the food manufacturer’s way of saying, “Eat this food before this time if you want the best product possible”; it’s good to follow the experts’ advice. Well, we purchased the food, we stored the food, we prepared the food, we cooked the food, and now we have to learn about leftovers! Or you may have decided you’ve heard enough, and are thinking of going out to eat instead. Know what Red Flag warning signs to be aware of at the restaurant or drive-in! Health departments keep an eye on all retail food stores, including your local grocery store and your favorite restaurants. Find out more about how they work and what it can mean for you! And if you want to discover some of the amazing sights that health inspectors see, click here!